Arsenal striker Danny Welbeck is still in hospital with the ankle injury he suffered against Sporting CP in the Europa League on Thursday. 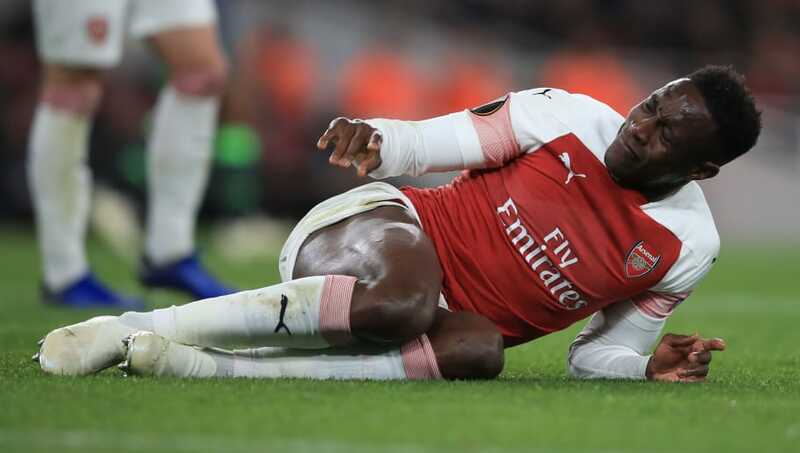 Welbeck was carried off on a stretcher in the 30th minute at the Emirates Stadium, having landed awkwardly on his ankle after going up for a header. He received oxygen as his leg was strapped with a protective brace with up to ten medical staff in attendance. He was replaced by Pierre-Emerick Aubameyang and sent straight to hospital. ​Sky Sports News reports that the injury is now being described as 'significant', with a further update expected in the next 72 hours. A 0-0 draw saw ​Arsenal qualify for the Europa League knockout stages with two games to spare but nobody was in celebratory mood after the match as Unai Emery ​confirmed that Welbeck 'broke something in his ankle'. "It’s the worst news tonight, this injury," said Emery. "We think it's a serious injury. Every injury is different. He broke something in his ankle and it's a different injury than another. Now he's at the hospital and the news is at the moment we are going to wait, but we think this is a serious injury." Welbeck had been included as one of seven forwards in Gareth Southgate's England squad, named earlier on Thursday, but it is not expected that a replacement will be called up in his stead.